My trip to Walmart this week was a little tougher than last week foray into the world of Walmart produce. Healthy fats are a much tougher nut to crack in any grocery store and Walmart is no exception. I did find several good choices though! My regular readers know how I feel about the priorities to keep in mind while budgeting for a real food diet. If you’re new to real food this is where you should start … healthy fats first! It is vitally important that you eliminate all rancid, trans-fat laden fats and oils from your diet. It is equally important that you eliminate PUFA’s (Polyunsaturated Fatty Acids) from your home cooking. The human body requires only a small percentage of polyunsaturated fats, and these *must* be of the highest quality and never heated to be of any benefit. Virtually none of the PUFA oils in the grocery store qualify. Only high quality oils kept in dark bottles and kept cool stand a chance. And these must never be used for cooking. Seriously, nothing you can do for your health is more important than avoiding these toxic fats. Virtually all of the fats found at Walmart or any other large chain grocery are these PUFA oils. They have been through a high-heat chemical process and are as newfangled as newfangled food can be. They are filled with trans-fats and are already rancid before you buy them. So what are we to do? Luckily there are still a few other options to be found. 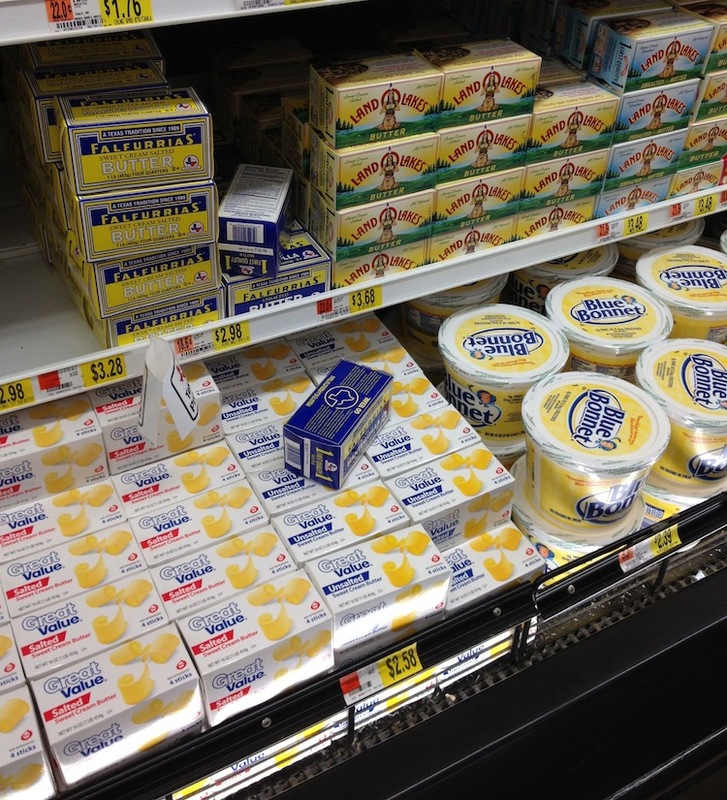 Walmart has butter, olive oil and coconut oil in stock! Your family needs plenty of good saturated fats for health, preferably saturated fats with plenty of vitamins A and D. High quality grassfed butter would be an ideal fat for many dishes. Beef tallow and lard are excellent for fried foods. Coconut and palm oils are highly saturated and good for frying. Monounsaturates like olive oil are great for salad dressings and sautéing. With these guidelines in mind let’s look at what Walmart has to offer. Your family is most likely getting some sizeable saturated fats from milk, cream, cheese and beef so I think we can safely assume you need to buy saturated fats separately for high heat cooking mostly. And of course you’ll want some butter to flavor dishes with that magical deliciousness only butter has . Your best options here are the few butter choices offered in the dairy section and the coconut oil in the oil section. I looked for but didn’t find any Kerrygold grassfed butter. They did have some Kerrygold cheese however . You may have better luck at your Walmart though … I know they have Kerrygold at Sam’s (owned by Walmart) so there’s the potential! 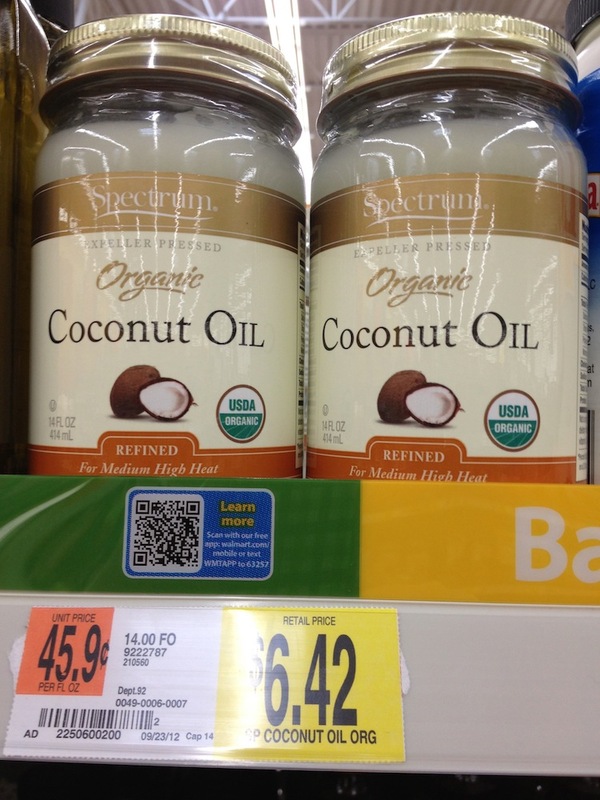 A reader told me she found Spectrum Coconut Oil on the shelves and lo and behold, there it was at my Walmart too! Hope your Walmart has this too … if so, go for it! 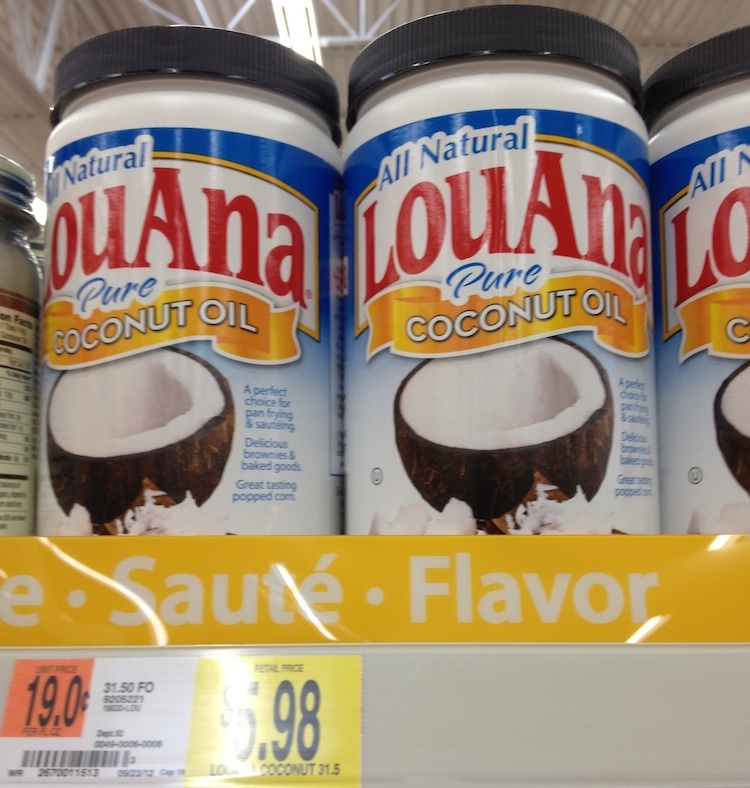 They also had this brand, LouAna Coconut Oil. From doing a little research it looks like this is an inferior brand made from coconut by-products called Copra after removing the best part of the coconut meat. It is then heated up, bleached, refined, deodorized and then processed with lye. What you want instead is an unrefined or refined coconut oil from a quality source. The difference between the two when it comes to coconut oil is the coconuty smell, that for many dishes you may want to avoid. The Spectrum coconut oil at Walmart is labeled refined and Spectrum’s site states it was 100% mechanically expeller pressed They do make an unrefined version too that is available at Amazon. 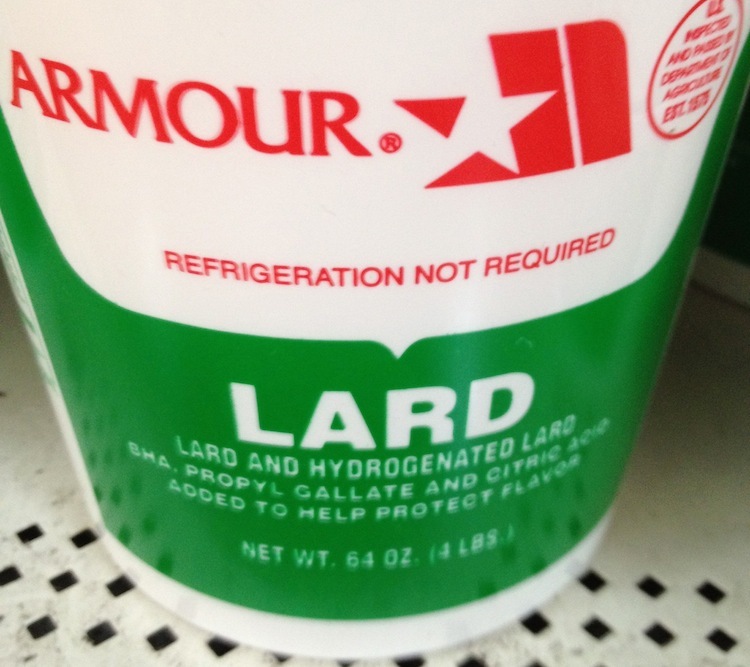 If you mosey on over to the oils aisle you’ll likely notice some big tubs of lard on the bottom shelf. This lard isn’t pure real lard but a bastardized facsimile of lard. It contains a mix of hydrogenated vegetable oils with hydrogenated lard mixed in :-O. Stay away from this stuff! You can buy lard either online or locally, but you won’t be finding the real thing at Walmart anytime soon. When it comes to olive oils Walmart is well stocked! However, I urge caution and suggest putting any oil you choose to try to the refrigerator test. 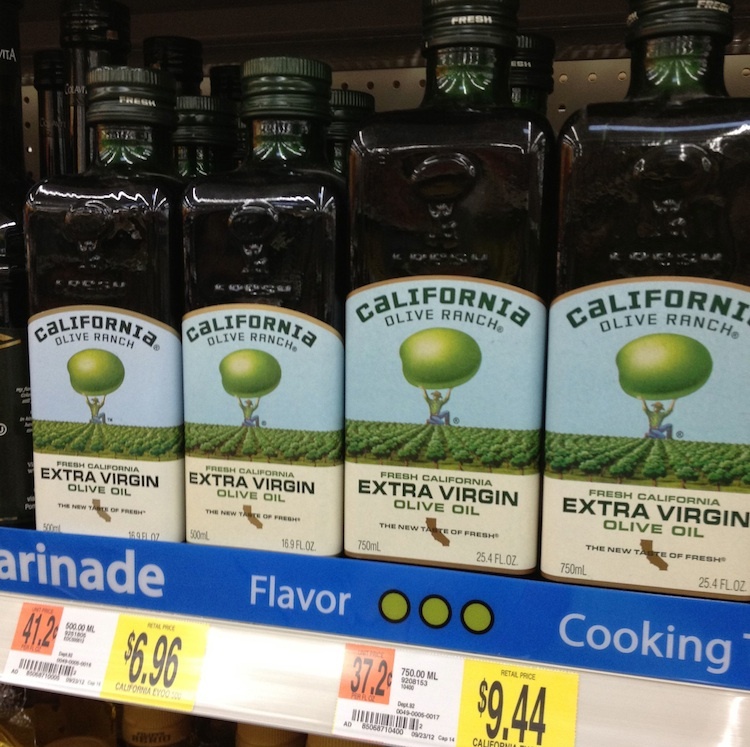 Adulteration of olive oil is very widespread and there is a good chance many of these “extra virgin olive oils” aren’t really extra virgin, or perhaps not olive oil at all. I bought the California Olive Ranch oil and put it to the test. And guess what? It passed! 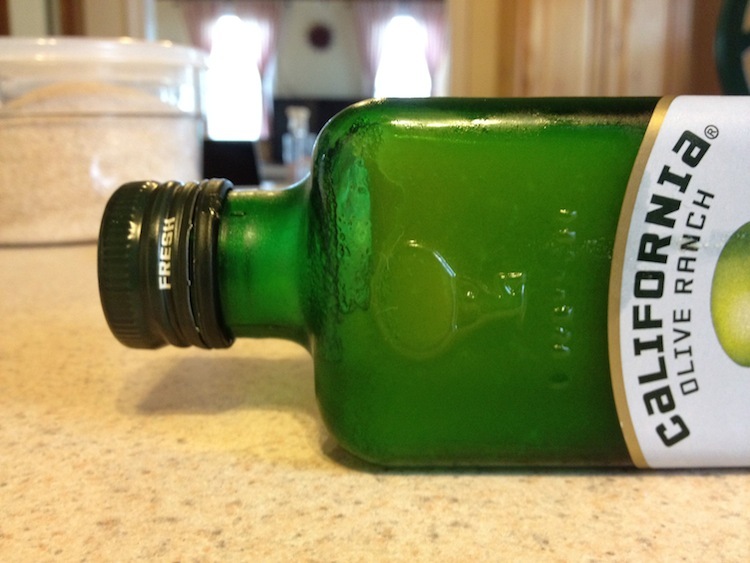 I was thrilled … this is the first olive oil I’ve found that passes the test with flying colors. I’ve tried about six different ones so far. Walmart offers a slightly larger selection of coconut oils online that are available for free home delivery. 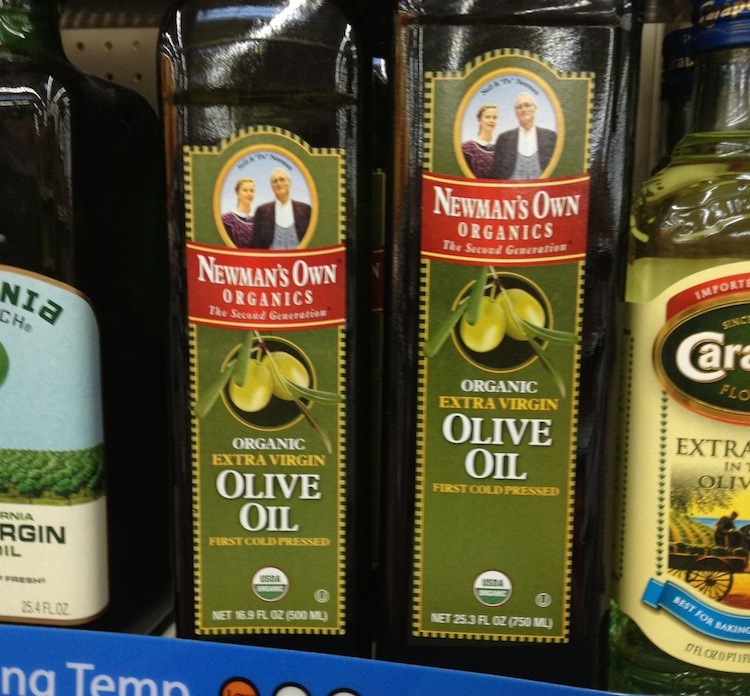 If you should find your Walmart has a more limited selection of olive oil, the website has a very large variety. Perhaps mentioning your favorite brand to the grocery manager might lead to them keeping it in stock . Also, Amazon has a much wider variety of olive oil, palm oils and coconut oil. Concern about shipping costs might put people off thinking they will need the $80 a year Amazon Prime membership to take advantage of this variety. That isn’t the case though. Almost everything can be found with “Free Super Saver Shipping” with a little bit of searching. “Free Super Saver Shipping” is UPS ground, and so takes a little longer but if you’re stocking the pantry you probably don’t need it quick . I order quite a few groceries from Amazon myself using this shipping option. Next week we’ll move on to the meat section and see what we can find there! In the meantime, tell us about your Walmart finds in the comments below.